Last year, Facebook-owned WhatsApp removed the media forward shortcut option on the messenger app owing to the spread of misinformation about child lifters, which apparently caused several lynching cases in India. Several users, in their bid to protect their children from kidnappers, had turned vigilante and harmed innocents migrant workers and travellers and even leading to several deaths across the country. Taking cognisance of the reports, the Indian government asked WhatsApp to make changes on its messenger to curb the circulation of the fake news. In the order, the company disabled the forward shortcut beside the message and multimedia content shared on WhatsApp. Instead, that feature was incorporated in the second layer of message options and also limited the number of forwarding a person can share on a chat with five persons. This action apparently reduced the spread of misinformation in India and this initiative was expanded to other global countries in January 2019. Now, if WABetaInfo is to be believed, the direct forward option is making a comeback in both the Android and iOS versions. 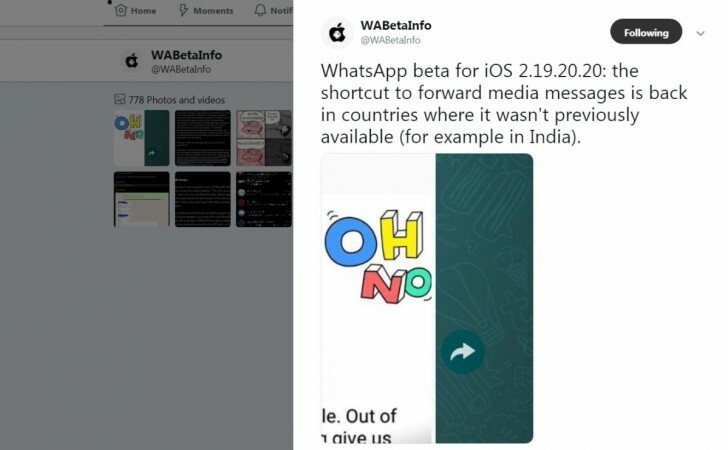 As per the screen-shot shared by the blog, WhatsApp update beta versions, which are under tests is showing forward option right beside the message/media content in the chat. We believe that WhatsApp will continue to keep the forward limitation to five for a chat. Also, possibly bring new curbs to control the speed of the spread of misinformation. In a related development, Facebook CEO Mark Zuckerberg has confirmed to bring a new feature in WhatsApp, Facebook Messenger and Instagram that allows users to exchange messages and share media on all the three platforms seamlessly. Also, WhatsApp Payment feature, which is already under testing in India, will be expanded to international markets to compete with Google Pay, Apple Pay and Samsung Pay, among others. Stay tuned. 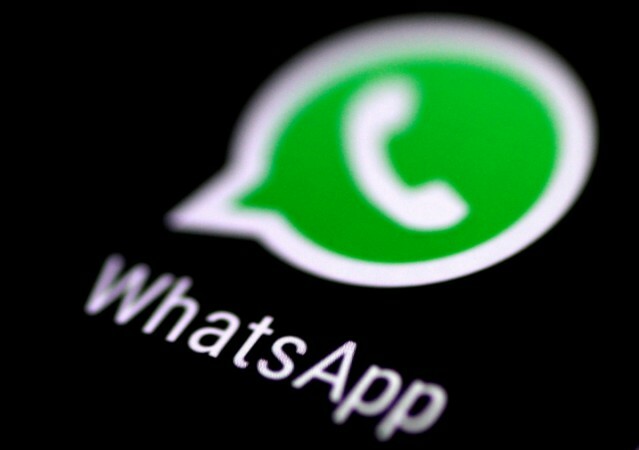 Follow us @IBTimesIN_Tech on Twitter and on Google News for the latest updates on WhatsApp.